Globoid Cell Leukodystrophy, more commonly known as Krabbe (crab ā) Disease, is an inherited neurodegenerative lysosomal enzyme disorder affecting the central and peripheral nervous systems. Children who inherit the disorder lack an important enzyme (GALC) that is needed for the production of normal myelin (white matter) in the central and peripheral nervous systems. Myelin is the protective covering of the nerve cells and acts like insulation surrounding an electric wire. When the enzyme GALC is deficient, it produces toxic substances in the brain, causing myelin loss, change to brain cells, and neurological damage. One in 100,000 live births in the United States are afflicted with Krabbe Disease. Approximately 2 million people (or one out of 125) in the United States are carriers of the genetic deficiency that causes Krabbe Disease. Yet, awareness about this disease is very limited. The disease most often affects infants, with onset before age six months, but can occur in adolescence or adulthood. Symptoms include irritability, unexplained fever, limb stiffness, seizures, feeding difficulties, vomiting, and slowing of mental and motor development. Other symptoms include muscle weakness, spasticity, deafness, and blindness. Krabbe disease is inherited in an autosomal recessive manner. If both parents carry a disease-causing mutation in the GALC gene there is a 25 percent chance of having a Krabbe affected child with each conception, a 50 percent chance that each offspring will be a carrier and a 25 percent chance of having a child who does not carry a disease causing mutation. This genetic disease is found in all ethnic groups. Infantile Krabbe disease is generally fatal before age two. Children lose mental and motor function, become deaf and blind, unable to move or speak and fed through a gastronomy tube surgically implanted in their stomach. Prognosis may be significantly better for children who are diagnosed through Newborn Screening and receive umbilical cord blood stem cells prior to disease onset. 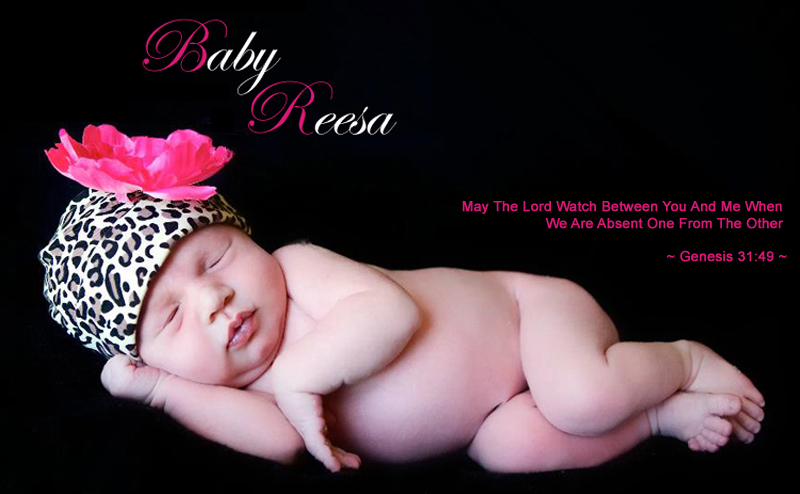 Unfortunately, Baby Reesa is not a candidate for this type of treatment since she was diagnosed after the symptoms were present. Arizona does not currently screen newborns for Krabbe Disease. Find out how former NFL quarterback Jim Kelly and his wife Jill are working to bring Universal Newborn Screening to every state to prevent rare diseases like Krabbe.